Jewellery By Mitali Jain is an upcoming label based in Jaipur, Rajasthan. We thrive to provide contemporary & exquisite gold plated brass jewellery studded with high quality semi-precious stones. Every piece is first designed & then handcrafted by our skilled artisans with utmost care and precision. We do not compromise on DESIGN & QUALITY. 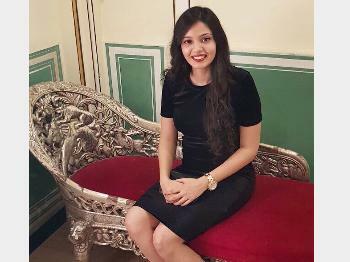 Mitali Jain is a young entrepreneur and a designer. She is thriving hard to serve her motto of providing fun & contemporary jewelry that is affordable as well. She deals in silver & brass jewellery (18k gold plated) with semi - precious stones. Two factors where she never compromises - Design & Quality. We provide free shipping all over India in 3-5 days. Kindly feel free to reach out to us in case you receive damaged product. In such a case, full refund of the amount will be provided.